There was a time when night came early to Marathahalli. That’s no longer true. Nostalgic old-timers recall the days when it was unspoilt and largely untouched by urbanisation. A green, sleepy village with its own lake surrounded by trees, it was a picture-perfect example of the rural idyll. Not so long ago, Bengaluru was something residents discussed, but they didn’t think of themselves as belonging to the city. Now, shops of all sizes and shapes and high-rise apartments have changed its skyline. Unlike the restless farmers of smouldering Singur, Marathahalli’s residents did not resist change. For that matter, was there a choice? Rising real estate prices and the prospect of new jobs and business proved irresistible. As the rural idyll vanished so did the separation from the state capital. Abythmangala village in Coorg district (though the indigenous name Kodagu has been officially adopted, the former continues to very popular) is just a few hours away. Over the decades it hasn’t changed much. With a population of just over 1,200 it doesn’t even have much potential for commercial activity. And it’s the same story for other villages between Madikeri and Gonikoppal and Kushal Nagar in the plains. The scenic coffee plantations attract plenty of tourists—mostly domestic and largely youngsters from hot and happening Bengaluru—but the villages seem unchanged by their passage. At the new and clean satellite bus station on Mysore Road, young people with their backpacks and fancy mobile phones wait for the high-tech luxury bus to Madikeri as 2011 draws to an end. Mukul is one of them. His story is a familiar one. He just wants a break from the stress. 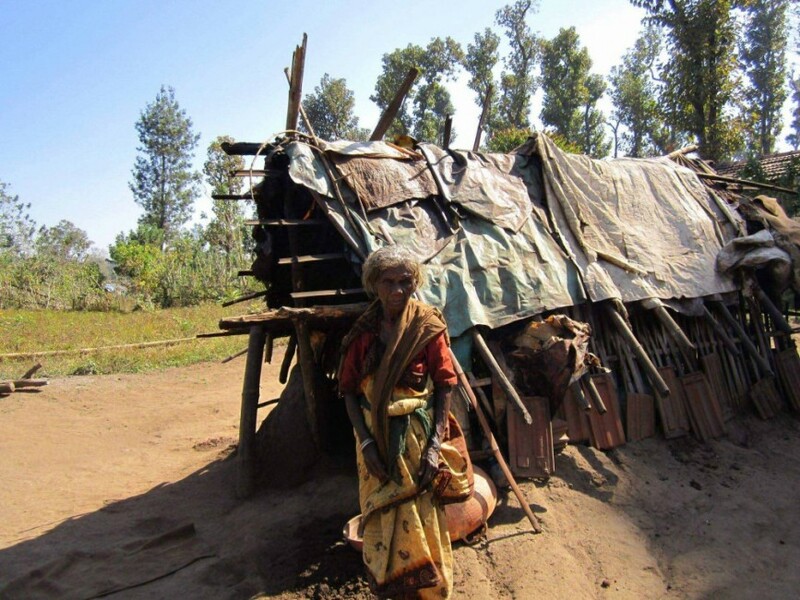 Mogi's mother Devi at the tribal village. “The humdrum city, the monotonous job, the bumper-to-bumper traffic, it gets on my nerves. I need to get out every once in a while. Either it’s a Sakleshpur trek or a drinking and eating binge in Coorg. I’m addicted to neer dosai and pork—though at times scared of tapeworms,” he smiles. He’s among about 15 lakh tourists, mostly domestic, to the district. The Karnataka State Road Transport Corporation’s bus and most of its passengers seem to be in a world far removed from the nondescript villages dotting the empty landscape that they pass through. Mukul is fiddling with his mobile. First he plays a video, then listens to some songs. In the middle of the night he sends and receives a stream of text messages. The staccato, subdued beeps often punctuate the silence in the air-tight interiors. Outside, it’s noisy. Then he flaunts his new Tablet and its brightness draws others’ attention. He’s having fun with technology. At Abythmangala, the young and handsome Rohith Aswa could be a cousin of Mukul. In his smart blue jeans, pastel T-shirt and grey jacket he looks much like Mukul. But that’s where the similarity ends. Rohit has just a smattering of English and he doesn’t want to speak it, saying he feels awkward. He knows what the Internet is, but doesn’t know how to use a computer. But he displays remarkable skill with his mobile phone. 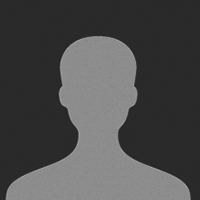 Rohit dropped out after high school and for a while worked as a semi-skilled instrumentation technician in Pune. “I didn’t have any formal training,” he says. He just picked up some technical skills on the job. Unexpectedly, family circumstances took a turn for the worse. He’s reluctant to give details. “Due to some personal and family problems I had to return.” Since there’s no industry in the region, he can’t work as a technician. “I joined a 120-acre coffee estate as assistant manager”. He’s a supervisor who oversees the labourers and gets paid about Rs 5,000. You see a number of young people—with different levels of education—in Coorg often whiling away their time. Between Siddapura and Chettali we stop at a couple of tiny towns—each with a few small shops—some not larger than 10 feet by 10 feet. They mostly cater to the locals and the occasional tourist who stops by. Young people like Rohit’s friends hang out in these towns. As supervisors, they get to ride jeeps and boss plantation labourers, but being a tourist taxi driver gives them an opportunity to interact with city folk. It indeed is more glamorous and perceived to be fun and adventurous. Rohit’s brother is in a para-military unit. Coorgis are known to be strong and brave. The local chieftains roped in Gowdas from the nearby plains in their armies, while later the British enlisted the locals to strike a balance. Every other Kodava and Gowda family here has someone in the military, para-military or state police. “That’s because with minimal education and good physique you can get into the army. And you get away from the hills and go far away in search of adventure. There’s a lot of respect for the armed forces. Parents are eager to give their daughters in marriage to a soldier,” says our cab driver, often the most trusted local source of journalists worldwide. Parents tell you proudly that their son is in the army or police—and rank really doesn’t matter. He could be a jawan or an officer, a constable or an inspector. Anuj, an estate labourer, spent Rs 60,000-70,000 to send his son to the army. Aboobacker has a small shop selling cigarettes, cool drinks and groceries. That’s about the scale of commercial activity here. Like other traders in Coorg, he has migrated from Kerala. “Business? Hardly anything. For an old man like me, who really can’t do anything else, it’s okay to run this shop. For anything less than Rs 100 they come to my shop. “For more than Rs 100, they go to Siddapura. For things that cost less than Rs 1,000 they go to Madikeri. For bigger shopping they go to Mysore or Bengaluru. That’s why the hills are so underdeveloped and can’t provide jobs for locals,” he says scratching his grey beard. Local youths have little choice but to migrate to the city in search of work. On the face of it, it’s a strange dilemma, because both tourism and coffee should generate big money. But apparently no one knows what happens to the money. That’s one of the main reasons for Coorg’s underdevelopment. The money is not spent locally. “I don’t know where the plantation and tourism money goes. But there are no jobs for young people here. My son has gone off to Dubai to work as a driver,” says Aboobacker. Coorg has strong ties with Bengaluru. While the poor and middle classes go to the city to earn money, the patricians from the hills spend their money in the city. It’s a search for better-paid jobs in one case and pursuit of “happiness” in the other. The city’s young, smart set go to the hills to unwind, so you’d expect that to push the economy further. These are young people who earn big money and spend it, too, most of it in the city. It fuels the growth of retail markets and services, but they also divert a trickle to these bucolic spots. Ironically, even the little they spend in Coorg—as rent for home stay or on food—eventually finds its way back to the city. “Along with a group of friends, I went to Coorg in 2003. 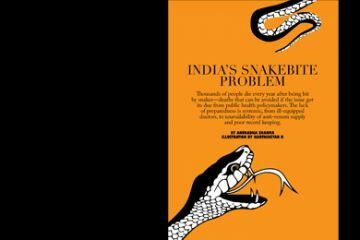 Besides spending on stay in a government tourism lodge, we hardly spent any money, as we would have done in the city in one evening,” recalls Eshwar Sundaresan, author of Bangalored—The Expat Story. On a bus to Kushal Nagar there’s a group of college students from Kochi. What brings them to Coorg when Kerala itself is so green? One of them said: “Oh, it’s the cool and pleasant weather and bingeing on liquor and pork. Also, away from our families”. Each spent less than a thousand on sightseeing, local travel by bus and food and beverage. On the other hand, a coffee estate owner says: “We go to Bengaluru for shopping. Clothes, consumer durables, anything that costs over a thousand”. In the large plains town of Kushal Nagar, the owner of a small eatery has an interesting take on outward migration and inward tourism. We locals don’t get to make money. So we flee to the cities. But our poverty follows us. We end up in slums and work as better-paid semi-skilled or unskilled workers. The rich remain rich and the poor remain poor. “The city people make a lot of money, live in high-class apartments. They have all the good things and comforts. When they get bored with city life, they come to the hills. They stay in good resorts and home stays. Here they can enjoy the greenery, fresh air and clear streams. It’s good ‘time pass’ for them. “We locals don’t get to make money. So we flee to the cities. But our poverty follows us. We end up in slums and work as better-paid semi-skilled or unskilled workers. The rich remain rich and the poor remain poor,” he sighs. 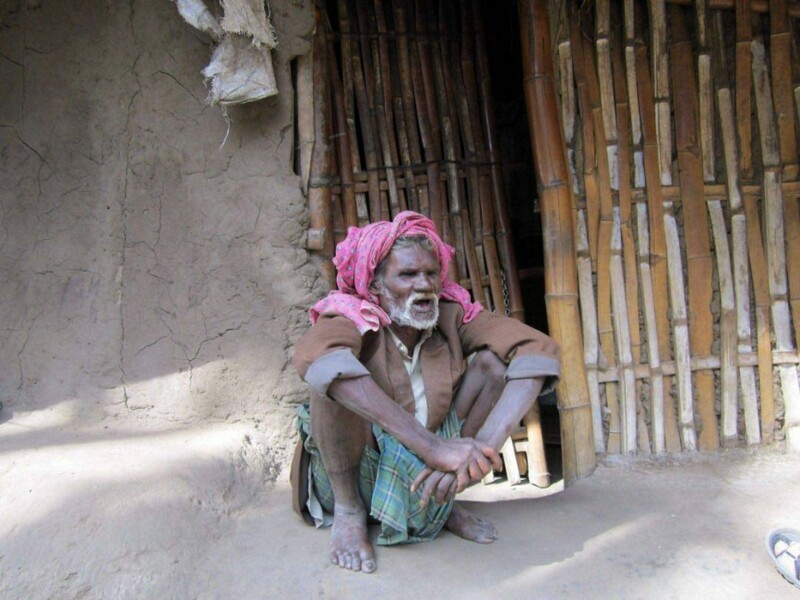 Sums up Eshwar Sundaresan: “The poor suffer the most in the city. Even the police decision to curb night life hit the poor—they can’t get a bus in the night to return home from work. Or, after a long and tiring day in sweatshops, they can’t have a bite in one of the cheap roadside eateries. Bangalore shuts early, but that doesn’t stop the hep folks from partying hard in the night”. If Marathahalli can change, and change out of recognition, why not Abythmangala and other villages in Coorg? One reason is obviously Bengaluru, India’s Silicon Valley or “knowledge hub of Asia”. Like the snake in the old classic game its appetite is insatiable. The city has gobbled up “halli-s” (village in Kannada) and “kere-s” (lake), besides “sandra-s”, “pete-s”, “pur-s” and “palya-s”. Marathahalli, located on the Hosur-Sarjapur road in East Bangalore, was once just such a village on the rim of a sedate Pensioner’s Paradise and a hub of public sector behemoths that employed thousands of middle-class white collar employees. 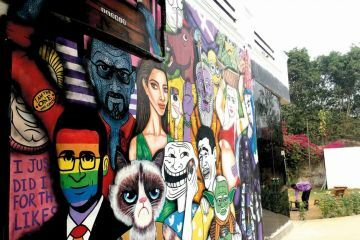 “Now it represents the new, youthful, fashionable and prosperous Bengaluru,” says Eshwar Sundaresan. Marathahalli is indeed a microcosm of the city’s new fortunes. Glittering new shopping centres seduce customers with irresistible discounts—and are in turn surrounded by high-rise apartment complexes whose residents come from every other part of India. There’s only a sprinkling of Kannadigas. Most of them arrived in the last decade—some earlier—to work in the software services industry. Young, single and independent professionals with high disposable surplus are swarming the newer parts of the city. Their new-found freedom, the consequent uninhibited swagger, the high adrenalin and the rage of hormones can stump a provincial soul. It’s these professionals who catalysed the city’s exponential growth. The swanky malls and multiplexes and eclectic eateries came up to cater to their appetites. And these again are job-creating hubs for thousands more from other states. At the bottom of the migration pyramid are the construction workers and domestic helps, poor people from the rural south and even poorer people north of the Vindhyas. Latest of all are people from the north-eastern states, with their distinct looks. I go to Marathahalli to buy a camera. In the old days, we’d have had to go to the city, MG Road in fact. At Staples, the array of electronic gadgets, stationery and travel accessories is mindboggling; almost infinite choice. The shop assistant asks me to enter my contact details in a register. But the buying is the least of it. Spend an hour at these shops and you’ll learn a few things. In that hour, at each counter a dozen or so credit cards are swiped. Each bill is anything from a few hundred rupees to several thousand. One of the first photos I take with my new toy is a nearby building—on the ground floor is a pizzeria, part of a global chain, and a swanky gym on the first floor. “First you eat the fat and then sweat it out to burn it,” says my friend, a senior journalist. They are conveniently adjacent. Delhi Durbar in Kundalahalli is a small, “affordable” eatery for north Indians who miss their cuisine. A meal for two—with chicken—costs about Rs 200. There are less than a dozen tables, but they’re mostly occupied. Besides, the cash counter is recording take-away, and another person is rushing “door delivery” packets. Ballpark calculations on a paper napkin show Rs 5,000-6,000 changing hands in an hour on a weekend evening. You can multiply this almost to infinity, given that so many people are shopping, eating and drinking at the same time in this small place. It’s a staggering thought, so much money circulating in this one little corner of Bengaluru. Maybe that’s why there’s so little left over for the Abythmangalas. Like other youths in Abythmangala and elsewhere, Deepika is a drop-out, though she was “very much interested in higher studies”. Life changed once she became a panchayat member. 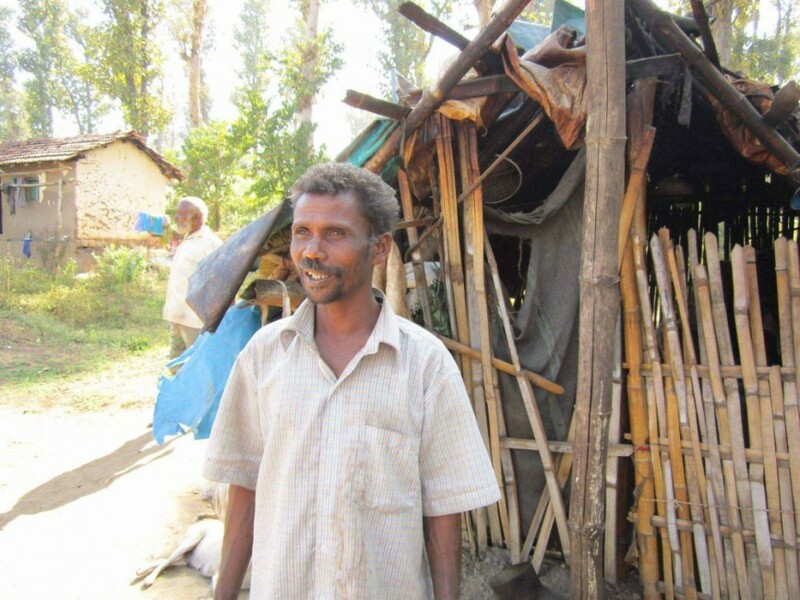 “Earlier I was just at home and didn’t know much about the problems of our villagers. Now I go around and get to know the issues”. Chandan, her husband, encourages her to take an active part in the local body. Chandan chips in to elaborate: “That’s because of historical reasons—land was gifted by the British or the local chieftains. In some case they were allowed to occupy government land for cultivation —called Jamma Baane lands. So, there are issues relating to access”. But it’s not just the villagers who complain. “We still live in a village, I guess” my Marathahalli hostess exclaims. The sarcasm can’t be missed. She lists a litany of woes living in Kundalahally, near Marathahalli. Despite exorbitant rents —rising 20-25 per cent annually—the infrastructure is terrible. The contrast between luxury interiors and the squalor outside is glaring. At my friend’s place, I end the day playing a little game with eight-year-old Anshuman. He’s like any other city kid in a “good” English-medium school. He speaks English fluently and knows about the most-advertised products. Anshuman is as immersed in consumerism as any other urban kid constantly bombarded by advertisements. It’s a simple game. Each takes turns to tell the name of an automobile. When one runs out of names, he loses and the winner must name one more to win. Anshuman insisted that the winner gets a chocolate of his choice. Once we are through with the popular ones, Anshuman’s parents begin to help with clues. “Chennai uncle’s car” —it was a Logan. Or, “The car you travelled in when you went to Granma’s village”—it was a Qualis. I stump him with the luxury Porsche Cayenne (costing over half a crore rupees) I saw in his city. After a few more rounds, I run out of names. To win, Anshuman has to tell one more name. “Maruti 800”, he says triumphantly holding up the fine, dark Cadbury Bournville. Its tagline—“You have to earn it, not just buy it”—crossed my mind. Recall value? The products are available in far-flung Coorg as well, and children and young adults are as aware as their city cousins. What they lack is the rattle of fluent English which puts them at a disadvantage. Bengaluru’s cosmopolitanism has its roots in Nehru’s vision of modern India but it’s a far cry from the days of Nehru. For instance, Prabhu’s father migrated to Bangalore from a small Madras Presidency town in the Fifties to work in a Central government department, spent his retirement and died before the information technology wave hit. Prabhu who worked in HMT is now retired and ambivalent about the ever-changing city, while his son, in the flourishing service sector, simply loves it. “There was a time when HAL seemed back of the beyond,” recalls Prabhu. 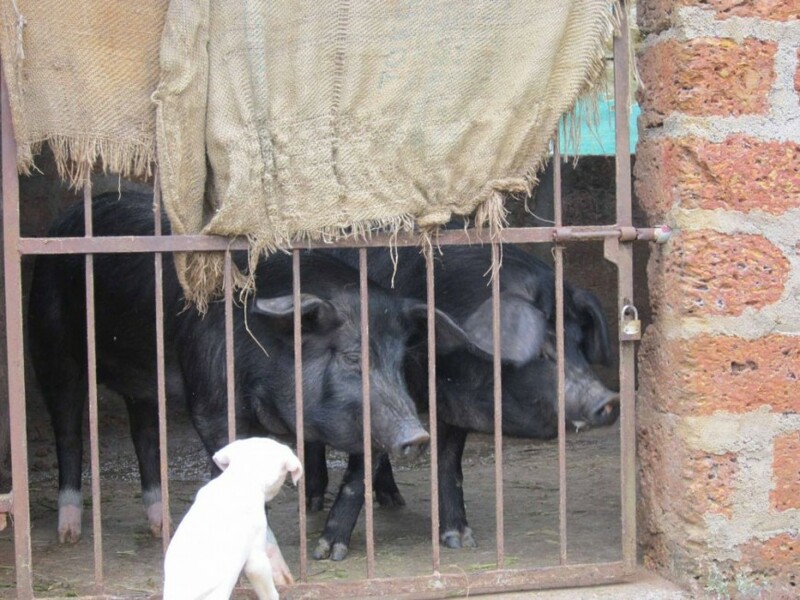 The Rajapalayam and the porker family. When he grows up the hound will be a hunter. In Coorg, the last three-four generations of farmers have seen more downs than ups. Nearly 70 per cent are middle class. But owners of small and medium coffee estates have seen their holdings shrink as siblings set up on their own. “My grandfather had a fairly large estate, but after divisions over two generations, I have a mid-size estate,” says M R Ramesh of Abythmangala. N C Bopiah of Cherala Sri Mangala near Chettalli says: “The smaller the holding, the more difficult profitable agriculture”. Besides fragmentation, price fluctuations are another major worry. Earlier, they were under the Coffee Board which managed the marketing. Now there are many intermediaries and small and medium plantation owners are exposed to the vagaries of the global market. It’s both threat and opportunity. If they have the entrepreneurial wherewithal, they can directly access lucrative western markets. Then there are complaints about high labour costs and unpredictable income. “We sowed paddy last season,” says Ramesh. “Instead of the usual 40 quintals, we got 20. We spent Rs 40,000 and got only Rs 22,000.” But there upsides as well. For instance, as pepper prices are going up they’ve made money from it in the last few years. Still, it’s a hard life and the rewards uncertain. Contrast this with Prabhu’s family where the annual income has been increasing over generations. “My father couldn’t easily come to terms when he saw his grandson’s offer letter. The annual salary was more than the total retirement benefits of the grandfather,” Prabhu recalls. The story is different for the Bopaiahs. “My grandfather, I guess, did well. He had a large plantation and cheap labour. Now we have a smaller farm and labour is more expensive. Agriculture is becoming very unpredictable and often we suffer losses”. But Bopaiah and his wife Arunakshi are determined to succeed. “We work hard. We do a lot of work ourselves to save costs because labour is expensive. We grow coffee and paddy. That’s not enough. So for extra income we started a nursery. It means more work for us. But it pays,” says Arunakshi. The couple are planning to buy a car. Their daughters Yogyashree and Hemashree are in high school. Yogyashree is a good singer while Hemashree had won several trophies in dance competitions. Studying in a “convent” school (that’s what English medium schools are called), they converse in English unlike their parents who are more comfortable in Kannada. Talking about underdevelopment in the region, Arunakshi says, “I am keen on my daughters learning classical music and dance. But there are no teachers. That’s when I think we should have been in a big city like Bengaluru where children can learn many things which would help in their progress in life”. Yogyashree and Hemashree have no complaints. But one thing parents and children are more or less agreed upon: the children may not stay in the hills. So why isn’t there a large software company like Infosys here? “That is something you must ask Narayana Murthy,” quipped her uncle. 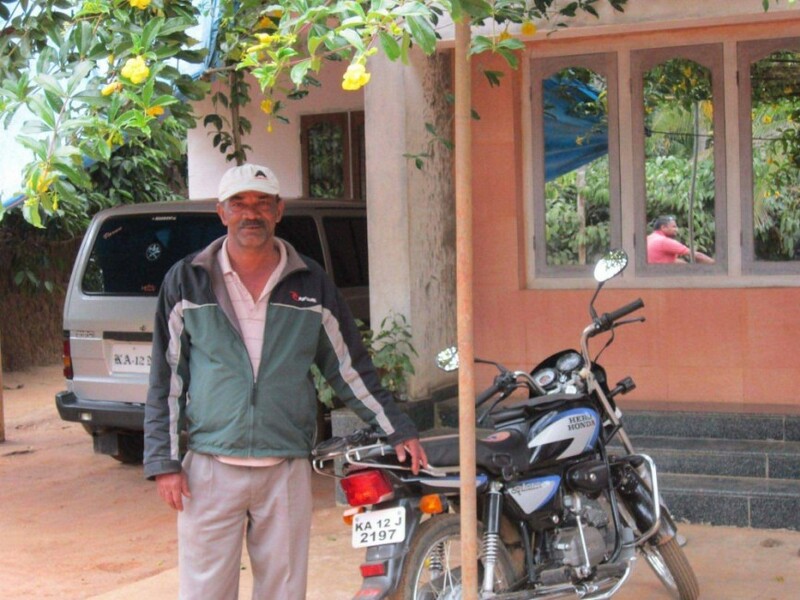 The family owns a car and a bike and seems somewhat more prosperous than the Bopaiah family. 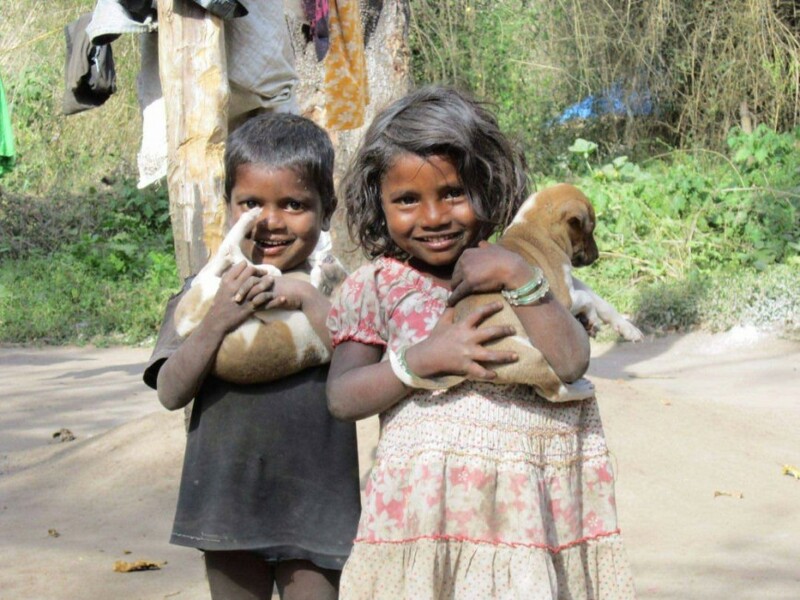 When I clicked their pictures, the children of both families asked me if I would post them on FB (Facebook). Bootlegging is the only way he knows to supplement his pension. 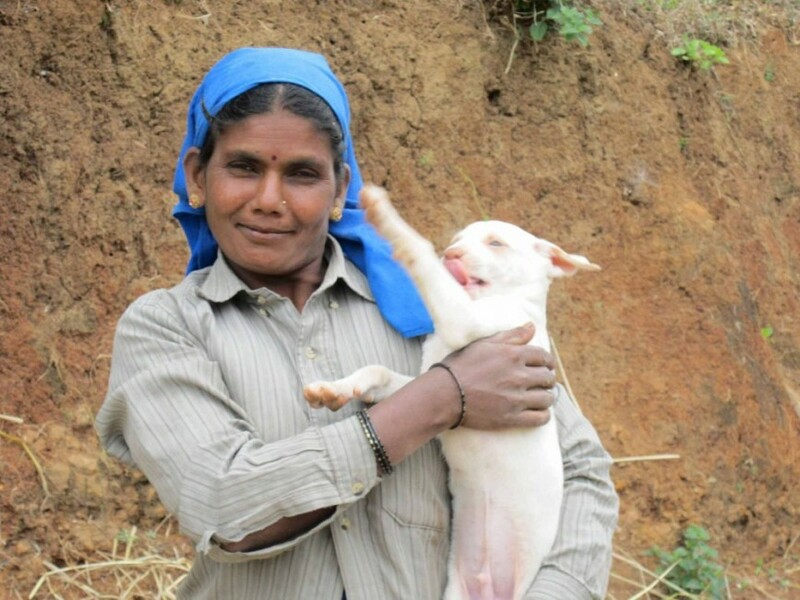 The Ramesh family is celebrating the arrival of a white Rajapalayam pup. Ramesh’s wife and daughter are cuddling it. The pup will grow up a hunter. In Coorg, hunting is a major pastime. “Now that it has drizzled, many small animals will come out into the open. Tonight, many people will go hunting,” says Chandan. Chandan is an anti-corruption and RTI activist, resident of Abythmangala and executive director of the Association for Social Transperency, Rights and Action (ASTRA). He asks: “Are you looking for poverty? Only among tribals in the forests. In Coorg you can’t find poverty worth writing about in the media. Even the plantation labour look OK.” I didn’t tell him that I would rather leave the subject to the professional poverty-hunter. Early in the morning I’m near a small, sleeping town on the ghat road. It’s dark, cold and lonely. There’s not a soul in sight. It’s eerie and the silence is creepy. Suddenly a stray dog barks loudly at a shadow. The day is yet to begin. Welcome to Coorg, reads a signboard. Orange County, reads another with an arrow pointing to the direction and distance in to the uber-luxury resort. On the way is one of the few Tata coffee estates. It’s not only the end of the week but also the end of 2011. Droves of tourists from Bengaluru and other cities are flocking to the hills for a vacation. The resorts and home stays are full, my friend says. Green and hilly Coorg is a favourite weekend getaway. It’s lush and lovely and everyone looks prosperous, so few of the weekend migrants know the story of prolonged unemployment and general hopelessness among the young. Take Dubare, it’s a favourite with trippers. Boating, river-rafting and elephant rides, it’s all there for them. This weekend, too, there are many tourists. “In the peak season the line of vehicles parked can be more than three kilometres. You can imagine the crowd,” says Umesh who operates a boating service. Just cross the river and walk a couple of hundred metres into the nearby forests—that is, if you are lucky not to be stopped by a forest guard—you will see a small tribal haadi (hamlet or settlement). About 90 tribal familes live here. “Some of us are employed by the forest department to take care of elephants. Our boys drop out of school at the first opportunity to do the elephant rides for the tourists,” says Mogi. His mother Devi is 80. Her vision is poor, possibly due to cataract. Brother Jediya does not work. He may be mentally retarded. His two married sisters work as farm labourers. “One of them goes for halt kelasa (works and stays in employer’s premises),” says Mogi. The government’s ambitious integrated tribal development programme seems to missing on all cylinders here. The only sign of modernity and state intervention is the solar lamps, which haven’t worked since they were installed. The solar panel and the battery in one place is still alive. Young tribals use it to charge their mobile phones! The simple fact is that there are no amenities worth the name. “We’ve asked the government to give us some land for farming. But if they give us land and regularise the hamlet they will have to provide electricity, roads and drinking water. So, they don’t,” says Mogi. His daughter goes to the nearby primary school. That is why “I want her to work in the town in an office. There are others like me who don’t want our children to live like us. When we see all these people (tourists), I wonder how they get so much money to come here from faraway places. Only once in my life I went to Bengaluru, when a forest officer called me to do some work for him. There they don’t have much land—yet, how do they live so happily,” he wonders. Despite their aspirations, no tribal boy has been to college. It is the same story in several haadis in the district. “There are a couple of students who went to high school. But they all drop-out before completing high school,” says the teacher at the primary school. Lydia Pinto is the cheerful and committed teacher at the government school here. “About 10 years ago I started working in government schools for tribal children,” she says. “No child would come to class. Parents were reluctant to send them. The children fighting and swear at each other. Mostly, they were unhygienic. I used to wonder how I got stuck in this place”. Tourists to Dubare on an average spend about Rs 200 per head on boat rides and elephant rides. “So much money is collected from the tourists. Where does it go? Why doesn’t the government spend a part on the development of the hamlet and the tribals who take care of the elephants?” asks an indignant Chandan. Even though tourism has not brought development to Mogi’s hamlet, the roads laid for tourists have improved the lives of tribals closer to “mainstream” villages. A tribal village a few kilometres from Siddapura town has a few pucca houses built under the Indira Awas Yojana. That still doesn't hide its griminess. It’s afternoon and only the jobless, the sick and ailing, the old looking after the children are around. An old man—about 80 and with poor vision—is sitting outside his hut listening to a transistor radio. He has no family. His brother’s family takes care of him. “Who are you? Government officers or police,” he asks aggressively. “I’m scared of no one. Yes, I sell liquor,” he says defiantly. He buys 10 bottles of IMFL and sells it to locals. “On the radio they say the government is spending thousands of rupees on us—but we don’t get any of it,” he complains bitterly. Gowri ajji (grandmother) has come to visit her relative—a young man who has a head injury in an accident. “He can’t go to work and his wife is too young to work,” she says pointing to a girl barely in her early teens. His mother-in-law has gone to work instead. Gowri ajji hushes her and continues: “There was a time when our people would flee into the jungles when they heard the sound of a car or a jeep. Yes, things have changed a bit. See, how this young woman can now tell you a thing or two. I don’t know if it is all for good”. In Mumbai, people of the slums have formed a movment for equitable resettlement after slum demolition drives.